This intelligent storage system makes it possible to load and unload tools without any operator lifting while providing maximum safety. Loading and unloading tooling is virtually effortless and super-fast. 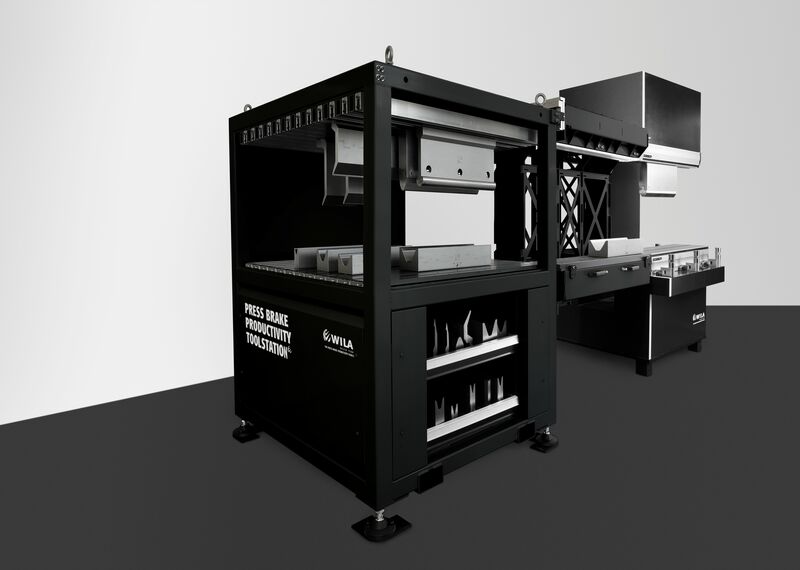 Wila has developed a special Heavy Duty (HD) version of the ToolStation for heavy tools. When combined with the WILA E2M® System, it is surprisingly easy and safe to change even the largest and heaviest tools. It is made of a modular construction and easy to expand to provide additional storage capacity. Would you like customer-specific information about the Press Brake Productivity ToolStation? We will be pleased to offer you comprehensive advice 443-459-5496.